Kennebunkport, Maine, has been a popular summer destination since 1870s. 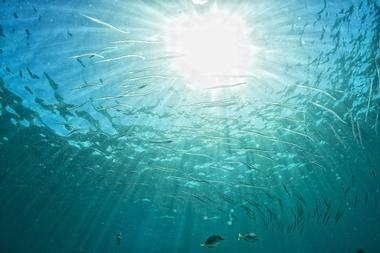 Beaches and water activities dominate the things to do list, from sailing and whale watching to swimming and hiking along the coast. 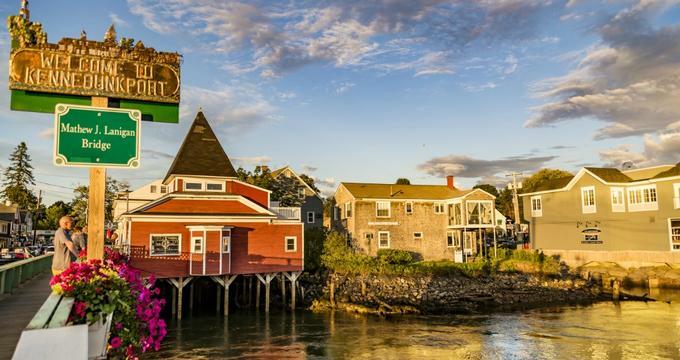 History and food also play an important role in this beautifu seaside town in Maine. Here are the best things to do in Kennebunkport. Maine has over 5,000 miles of pristine coastline along the Atlantic Ocean, so it’s saying something when Kennebunk beaches are counted among the state’s best. Family-friendly Gooch’s beach is a wide, soft-sand beach that provides a perfect daylong getaway with the kids. Visitors can stroll down the long shoreline hunting for sand dollars and building sand castles; splash, play, and skim board the surf or hit the gentle waters to swim or kayak. The beach is lifeguard protected and has porta potty facilities and paid parking. During summer, dogs are only allowed on the beach before 9:00 a.m. and after 5:00 p.m.
Seashore Trolley Museum encompasses a 330-acre living history park with numerous transportation exhibits and a Visitor Center containing a History in Motion exhibition and a museum store. Visitors may take unlimited rides on meticulously restored streetcars along a 1.5-mile interpretive railway. A restored Atlantic Shore Line locomotive, the only remaining piece at the museum from the original railway, sits on a demonstration track for visitors to see. Other museum highlights include the restoration shop where the streetcars are authentically restored, car barns where they cars are stored, a bus exhibit, and a modern urban mass transit rapid rail vehicle exhibit. 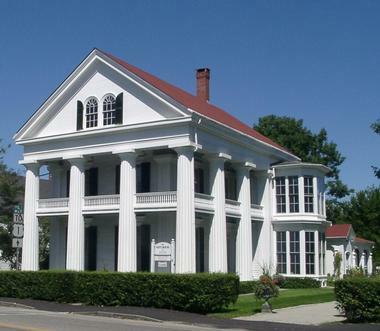 The First Families Kennebunkport Museum is operated by The Kennebunkport Historical Society and is located in an 1853 Greek Revival home on Main Street in the village. The museum exhibitions reflect 200 years of the town’s history from wealthy shipbuilders of the past to George H. W. Bush, 41st President of the United States. Museum docents lead guided tours ruminating over maritime collectibles, local historical treasures, and memorabilia from the former First Family. Hourly tours run mid-morning through mid-afternoon. The museum is open seasonally from Memorial Day to Columbus Day, and it is also open for Kennebunkport’s Christmas Prelude in December. Visitors who’ve never been to the Kennebunks will want to start here. Intown Trolley has been offering narrated sightseeing tours for more than 30 years. This is a great way to get an overview of Kennebunkport before diving into specific activities. Trolley docents deliver 300 years of history in 45 minutes, from Native Americans to settlements and shipbuilding to tourism. Highlights on the tour include a view of the Maine coastline, a Franciscan Monastery, the natural water shows of Spouting Rock and Blowing Cave, and President Bush’s estate, among others. Hourly tours run Memorial Day through Columbus Day and again during Kennebunkport’s Christmas Prelude in December. Visitors can taste their way through Kennebunkport, Maine, on a 2.5 to 3-hour walking tour beginning at Dock Square and crossing the bridge into the lower village. This leisurely tour allows guests to visit six different venues within a half-mile while learning the culinary history and current foodie scene from their knowledgeable guide. Visitors can speak with talented food artisans and creative shopkeepers as they indulge in delectable, locally sourced fare. 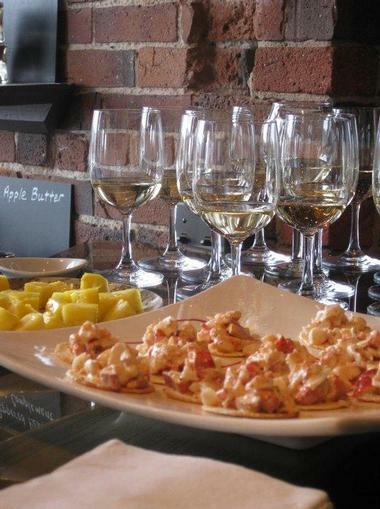 Maine fish and clam chowder, crabmeat sandwiches, fresh off the boat lobster, whoopie pie, and craft brews are just a few of the samplings featured along the way. A favorite way for people to explore Kennebunkport is from the sea, and sailing along the rugged, rocky coastline of Southern Maine on the Pineapple Ketch is an unforgettable experience. The classic 1970s Downeaster 38 has been restored to its original high quality beauty, and sails morning, midday, and evening. Those who prefer smooth sailing with lots of photo ops of the shoreline should sail mornings. Visitors who prefer an exciting ocean sail with plenty of action will want to book an afternoon sail. Guests who crave the romance of a sunset sail may want to bring their favorite sundowner beverages on the last sail of the day. Visitors to the coast of Maine cannot get enough of whale watching; after all, being in the presence of a breaching whale is a majestic experience. Although these sightings can’t be guaranteed, the captain and crew of First Chance are experienced seafarers who know just where to take visitors to see humpback, finback, and minke whales, as well as chance sightings of the endangered right whale and the rare blue whale. The best time for whale watching is summer. Expect weekend trips to be available in May and June, while daily trips are available from July to early September. The modern boat has a galley and plenty of elbow room on the rails. 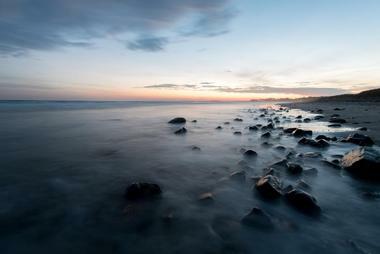 Kennebunk Beach is actually a combination of three beaches stretching 1.5 miles along Beach Avenue. On one end is Gooch’s Beach, then Middle Beach, and finally Mothers Beach ending at Lords Point. All three beaches are great for swimming and kayaking. Mothers Beach has the calmest surf and a playground, so it is a popular beach for families with small children. The three beaches are also connected by sidewalks and are excellent for taking a scenic walk along the beach. If fitness is the goal for walking the beach, know that from one end to the other and back is a three-mile trek. Kennebunkport Bicycle Company rents bikes to vacationers who want to explore the Kennebunks by bike. Visitors can choose from mountain or road bikes; kids’ bikes (plus helmets) and child trail-a-bikes are available too. Even better are the guided tours offered to vacationers. For those trying to make the most of their biking experience, the Bicycle Company offers guided Coastal Explorer Tours and Mountain Bike Adventure Tours. They also provide guided walks through the woods, adventure hikes, and trail runs. Their outdoor experts tailor your experience to your preferences, which can range from relaxing to adventurous, novice to expert, and small to large groups. The Parsons Way Trail is a leisurely two-mile walking path along the coastline of Cape Arundel that passes by Spouting Rock and Blowing Cave and provides extraordinary views of the ocean. Most visitors can tackle this easy trail in an hour or less while enjoying the natural beauty gifted by the trail’s namesake, Henry Parsons. There are a few secret benches hidden along the way, perfect for relaxing while listening to the surf and basking in the sun’s glow. Visitors will also pass by St. Ann’s Church, a beautiful site even though it’s gated, before finally ending at President Bush’s family summer home. Patten’s Farm has been around for more than 60 years, providing local produce and seedlings to two cities – Gorham and Kennebunkport – while offering seasonal farming activities for visitors year-round. During spring, guests can help plant flower and vegetable seedlings and make hanging baskets and planters. Summer brings planting and picking strawberries, corn, and peas, while the fall delights guests with pumpkin patches, Maine apples, hot cider, cornstalks, and beautiful Mums. In winter, visitors can pick out their Christmas trees, decorate wreaths and garlands, and create kissing balls. Every season at Patten’s Berry Farm introduces fun new activities for the whole family. Visitors can hop aboard a vintage New England wooden lobster boat and take a 1.5-hour tour of the Kennebunk River with Rugosa Lobster Tours. As guests relax while cruising the picturesque coastline, they see first-hand the labors of an expert crew hauling in their lobster traps. Adventurous guests who want to get in on the action are more than welcome to join the crew and take their turn at hauling in a trap or two. Rugosa Lobster Tours gives visitors a behind-the-scenes look at Maine’s lobstering business with their experienced staff, while also providing unique photo opportunities and gorgeous scenery. St. Ann’s Church is a beautiful seaside chapel that was built in 1887. It is a historic landmark in the town of Kennebunkport offering a tranquil place of worship for people of all faiths. The church was constructed to serve residents of the Kennebunkport, Cape Porpoise, and Kennebunk communities, but it welcomes visitors from all over. 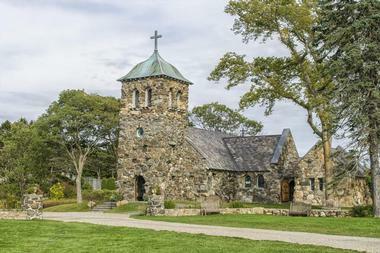 The structure offers stunning views of the Atlantic Ocean and Kennebunk River from the lush gardens and the stone and outdoor chapels. St. Ann’s is open to the public from summer to early fall to enjoy the changing light over the water. Guests are welcome to join Sunday services or to privately pray or meditate in the park-like outdoor area. Captain Rich Woodman has been offering two-hour sailing trips aboard his classic schooner Eleanor for 25 years. Trips originate on the historic Kennebunk River and proceed along coastal Maine. The Eleanor sails the coastline from Cape Arundel to Cape Porpoise, and guests are encouraged to assist with the sails if that excites them or to simply sit back, relax, and take in the picturesque views. Tours depart from Arundel Wharf, heading out to the ocean by motor, while the crew readies the boat for the sail. On the tour, guests will learn about area maritime history and have their questions answered about any sights along the way. Robert Paine, better known as “Bob,” is a Saratoga Springs native from New York, where he earned his fine arts degree at the New York Phoenix School of Design. 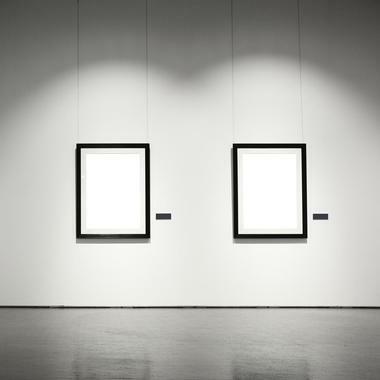 He went on to become a skilled illustrator, producer of television shows and films, and an art director. He also owned the Village School of Art for quite a few years teaching students in fine art before he ultimately established his lifelong goal of opening W. Robert Paine Gallery. His paintings capture the people, places, and lifestyle of New England using oil, watercolor, and egg tempera, and they are featured in his gallery in “The Port” year-round. 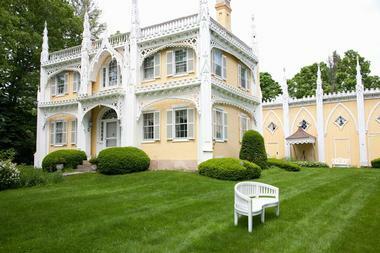 George W. Bourne, who was inspired by the Gothic beauty of cathedrals he saw in Europe, built the Wedding Cake House in 1825. This historic house is known as “the most photographed house” in Maine and was aptly named due to its exterior, which resembles a wedding cake. Bourne spent his entire adult life adding details to its exterior using hand tools. It was passed through his lineage, with the last of his descendants purchasing and restoring it in 1983-1984. The home hasn’t been open to the public since 2005, but it still remains a huge draw for locals and visitors alike.